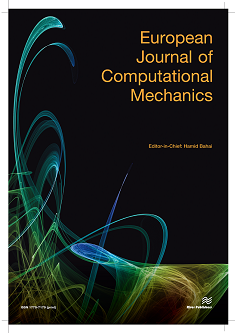 * To publish occasional review articles with a view to promoting an engineering application culture in computational mechanics. Any article presenting new theoretical concepts is expected to also provide either numerical validations, comparisons with experiments, or applications to real-world engineering problems. Submissions based on the straightforward application of classical approaches, e.g. using existing codes for performing parametric studies, are discouraged.